Raids in Stormblood – Final Fantasy XIV’s latest expansion – have been split among the wings of Omega and an on going plotline involving the Garlean Empire, the land of Ivalice and a theatre troupe. 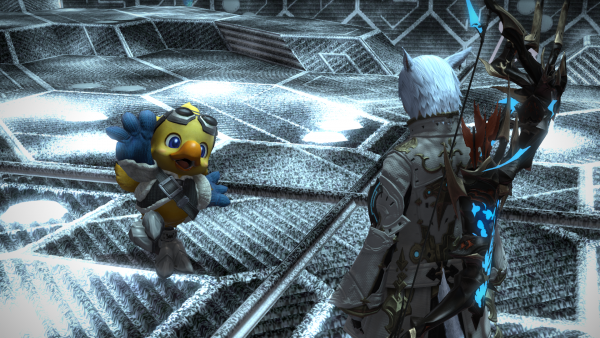 Patch 4.2 “A New Son Rises” once again sees the Warrior of Light (player character), Cid Nan Garland, Nero Tols Scaeva and Alpha the Chocobo face off against the artificial creations of the fearsome Omega. Raids are released with each patch – odd numbered patches bringing a new Ivalice raid and even numbered patches bringing a new section of Omega. Spoiller Warning: Mechanics for 2 of the 4 “Omega Sigmascape” fights are described in detail below. Here are my general impressions after running the “normal” difficulty for two of the four “Sigmascape” encounters. 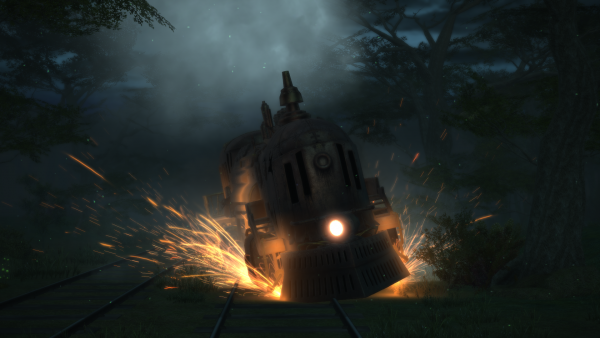 Fans have been speculating for years now about when “Doom Train” (also known as “The Phantom Train”) would make its appearance in Square Enix’s latest online incarnation of Final Fantasy. As far back as 2014 players have joked about the train – some wishing for a smaller version of the train to become a mount and others hoping that Goldsmith GoldBert would end up suplexing the train. Sadly neither of these things happen in the normal version of Phantom Train. What players do get is a bit of a wild ride though – things start off with the entire party aboard the backmost car of the titular train. It is here that the party must send volleys against the train itself while avoiding ghosts that spawn, train car wide AOEs, using searchlights to “put out” the spawning ghosts and the possibility of being sucked into one of the endless number of the Phantom Train’s passenger compartments. The journey to the Phantom Train is probably the strongest opener to a raid tier that I can remember in sometime. After all is said and done, once the train crashes off the tracks and dissipates back into the aether, the Warrior of Light is left with a haunting ghostly vision of some of it’s occupants – referencing events that haven’t happened in Eorzea’s existence. 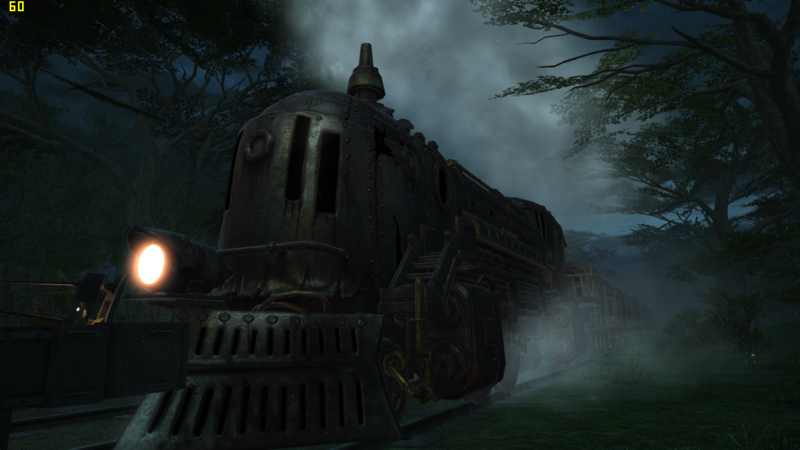 The whole encounter feels other worldly and if you’re into FFXIV raiding – make sure to take a ride on The Phantom Train. 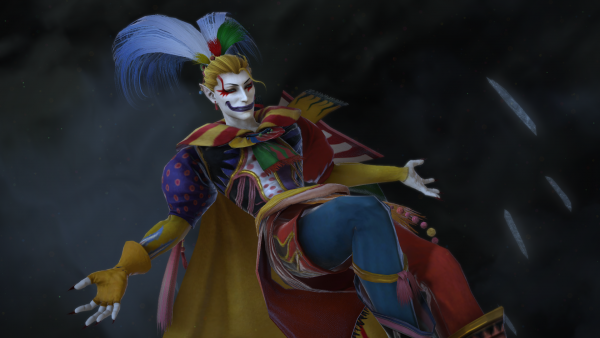 Sigmascape is filled with references to Final Fantasy’s storied 16-bit history but the one encounter that sent chills down the spine of those who watched the pre-release “Final Fantasy 14 4.2 Patch Trailer” was only hinted at – a battle with the one and only, Kefka Palazzo. The former court jester has already successfully destroyed an entire world during the second half climax of FF VI, and now he’s got his sites set on wiping the floor with the Warrior of Light and her comrades. Mechanically Kefka’s sigmascape encounter is probably one of the hardest normal difficulty fights ever included in FFXIV. 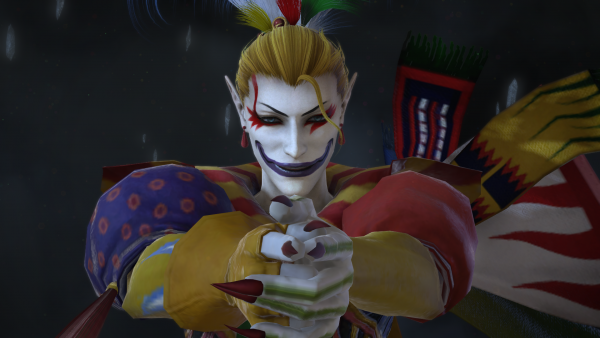 To successfully bring the clown down you’ll have to deal with large line AOES, circle AOEs, knockbacks similar to Heavensward Sephirot aaaaaand – the off chance that Kefka is straight up messing with you and his mechanics are lying to you. Battling Kefka is interesting, challenging and when it’s not rage inducing to die to “lie” mechanic with less than 10% health left, a lot of fun. Final Fantasy XIV Patch 4.2 has so much more to offer and I’ve barely done it all justice by describing the these two Sigmascape encounters. In addition to the continuation of the ongoing Main Scenario players can take part in the four Sigmascape raids – in a savage or normal difficulty. 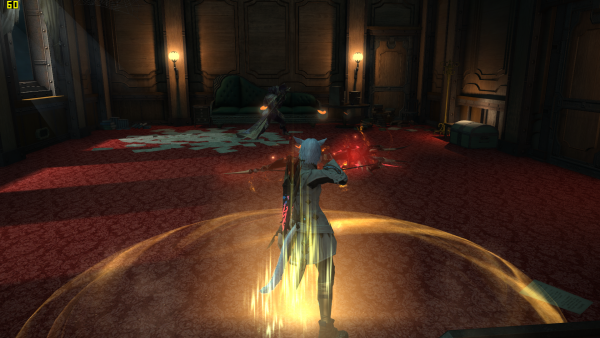 A battle with a brand new primal is included during the MSQ, where the Warrior of Light and her comrades face off against the Jade Stoah. Other improvements include new housing items, new fashion items, a whole new set of tomestone gear, new emotes and PVP adjustments.